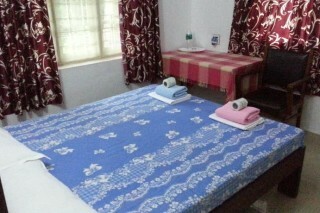 This is an offering of a two-bedroom homestay, which can accommodate four guests. 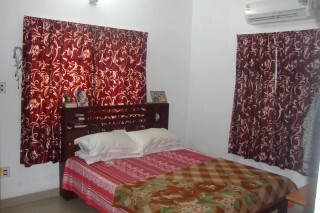 Situated 3.5 km from 3.5 km from Dutch Palace, this abode is ideal for a close-knit group of friends. Parking is available, as are the services of a caretaker. Your Space The sun-kissed homestay is lined with potted greens. The courtyard is appointed with a table and chairs, where you can enjoy a beverage under the sun. 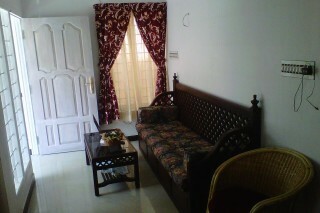 The living room houses a sofa, a coffee table, and a chair for added comfort. 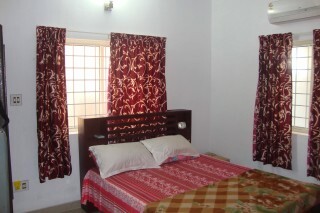 The bedrooms are furnished with double beds. 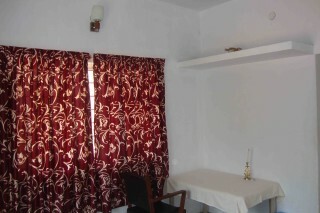 The attached bathrooms are equipped with western sanitary ware. Cochin International Airport is 44 km away.